The HD-2X is a unique 2" mid-tweeter (more dispersion at the highest frequencies) than most 25mm dome tweeters. The HD-2 (silver housing)can do jobs nothing else will touch. This driver is more extended and has a special hand coated cone and dust cap for assurance it will reach frequency response up around 20kHz. 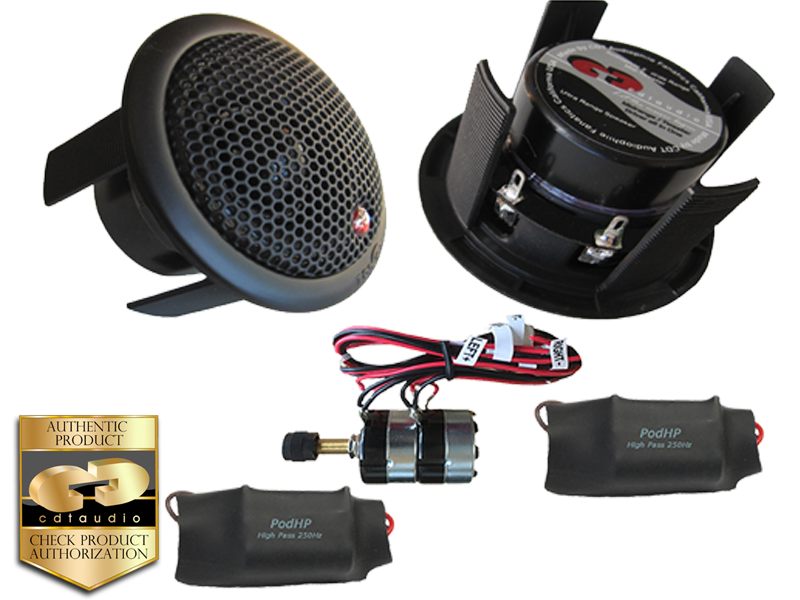 HD-2X performs better power response (more dispersion at the highest frequencies) than most 25mm dome tweeters. It can, however, reach 150 Hz at the low end, although using it this low would be a power-handling problem.